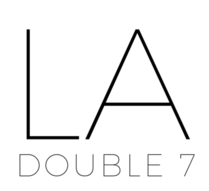 Bags – LA Double 7, Inc.
Faux fur is a timeless material, especially this season! This fuzzy purse comes in pink or cream, both stylish tones that can be paired with endless looks. Features a gold chain strap and zipper closure. Create a glamorous look by having this purse layered over your fabulous outfits! Stand out from the crowd in this shiny silver backpack! Pack your items for the day in a stylish bag built for versatility. You’ll love this faux leather clutch featuring a fold over flap with circle studs. The high polish hardware, zippered interior pocket and lightweight design make it perfect to carry every day.